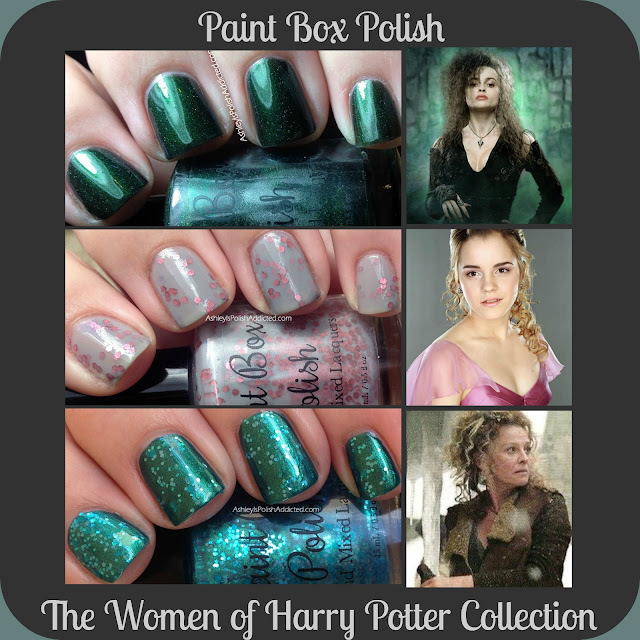 Who is ready for a new collection from Paint Box Polish inspired by Harry Potter? I know I am! To be more specific, this collection is inspired by the women of Harry Potter! 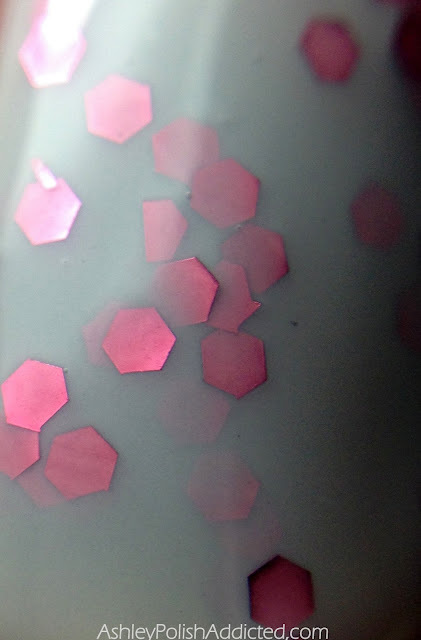 It's made up of 6 polishes and I have 3 to show you - Slightly Unstable, Brains & Bravery and Glittery Heels. I also have a discount code to share with you that is good the whole month of December so stay tuned until the end of the post for that information! I didn't start reading or watching Harry Potter until last year so I'm still fairly new compared to many fans but I am a huge fan nonetheless! I have read the books more than once and I have watched all of the movies more times than I can count. 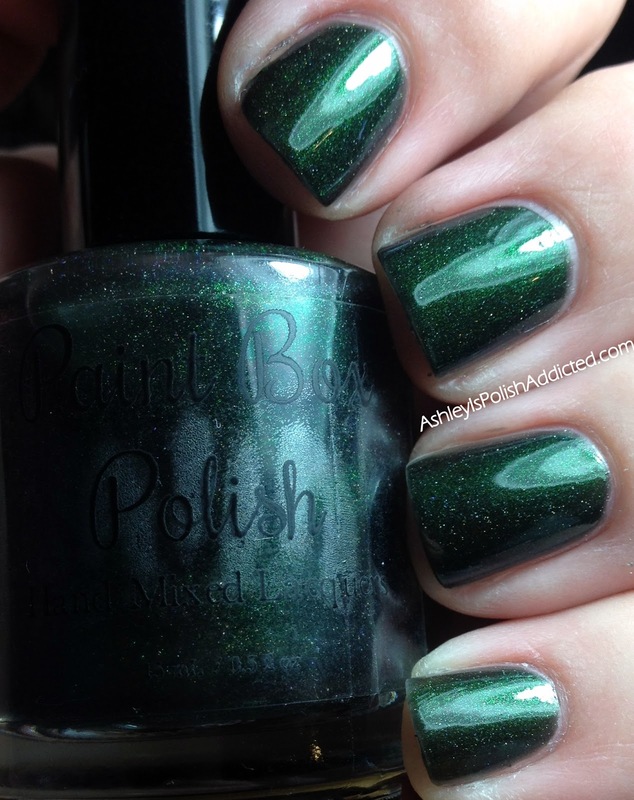 Pam, creator of Paint Box Polish, is such a huge fan that this is her second collection centered around the series. Her first Harry Potter Collection was inspired by the four houses of Hogwarts and was released last fall (and can still be found in her shop). You can see my post on Gryffindor here, if you like. Now, onto the brand new collection! Slightly Unstable is inspired by none other than Bellatrix Lestrange. Just like Bellatrix, this polish is a little bit crazy and slightly unstable. Okay, Bellatrix is more than a little bit crazy and also more than slightly unstable, but you get the point. ;) This polish shifts from green to black and has silver and holographic shimmer - absolutely stunning and so much better than my photos show! The formula was easy to work with and I only needed 2 coats alone for opacity. No top coat for the photos. Brains & Bravery is, of course, inspired by the amazing Hermione Granger. The grey crelly base mixed with the soft pink metallic glitters captures the essence of Hermione perfectly. The formula was easy to work with and I only needed two coats; one coat of top coat in the photos. Glittery Heels is inspired by the turquoise heels worn by the owner of The Three Broomsticks, Madam Rosmerta. This is a must for every glitter bomb lover! 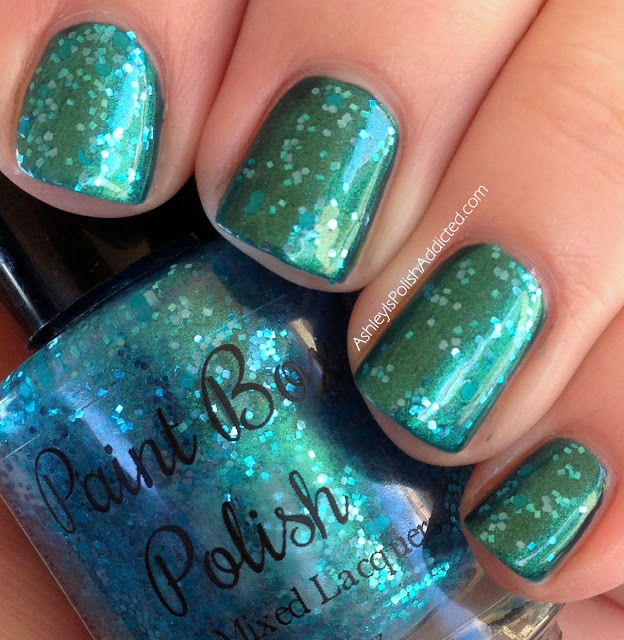 This one features turquoise glitters in a slightly turquoise tinted base with turquoise and green shimmer. This one can be worn alone (I am showing 3 coats alone in my first photo) but I personally preferred it layered. 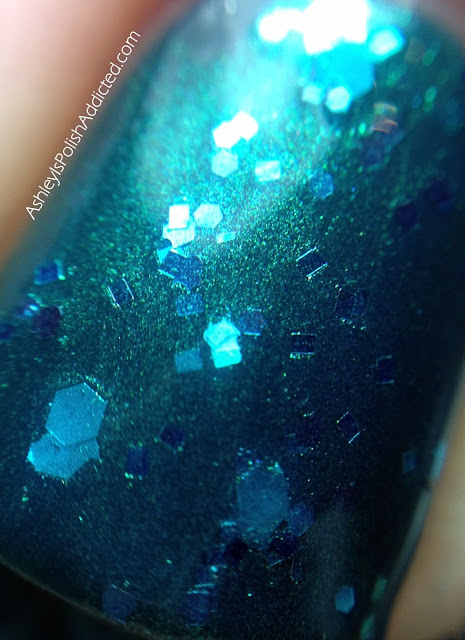 I am showing one coat over a teal creme (SinfulSHINE Shine Divine) in all other photos. One coat of top coat in all photos. There's half of the new collection! Which are your favorites? Paint Box Polish sells full size bottles for $9 and minis for $4 and, as I mentioned earlier, I have a discount code for my readers! You can save 20% on your order for the full month of December using code ADDICTED20! 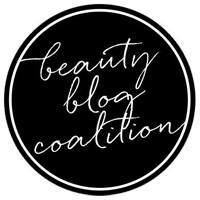 Make sure to follow Paint Box Polish at the links below for more swatches and all the latest news! 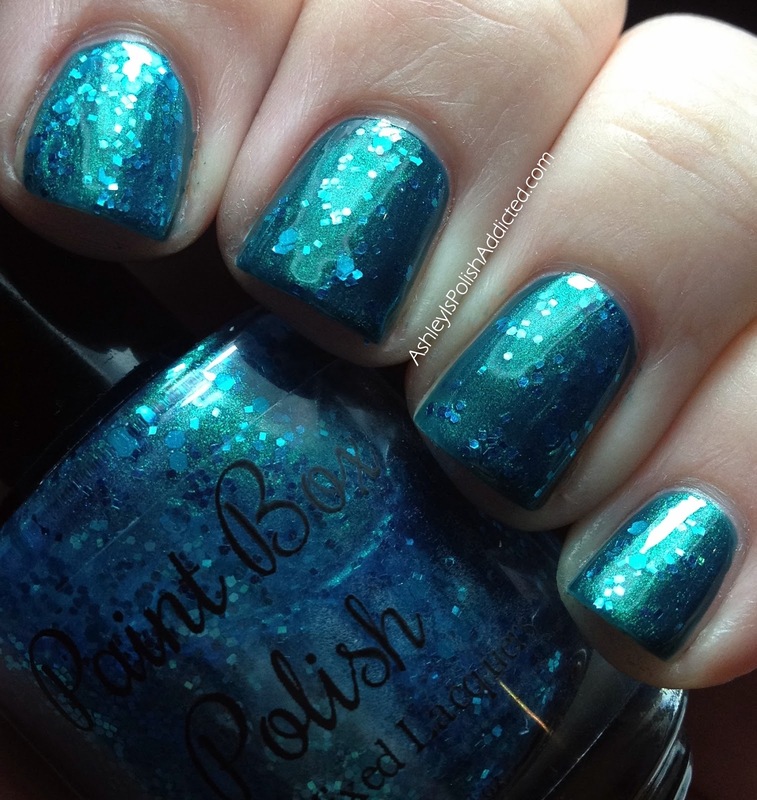 You can see more swatches of these, as well as the other polishes in the collection, at the links below!